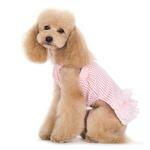 Make summer parties a hit with the Halter Woven Dog Dress by Dogo in Pink! 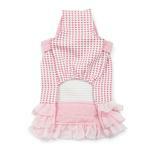 The Halter Woven Dog Dress by Dogo is a modern design for your sweet pup. 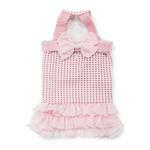 Shoulder strapped dress accented with top bow, A modern square dotted pattern with ab adorable multi layered ruffle skirt. Elastic High cut stay dry belly. 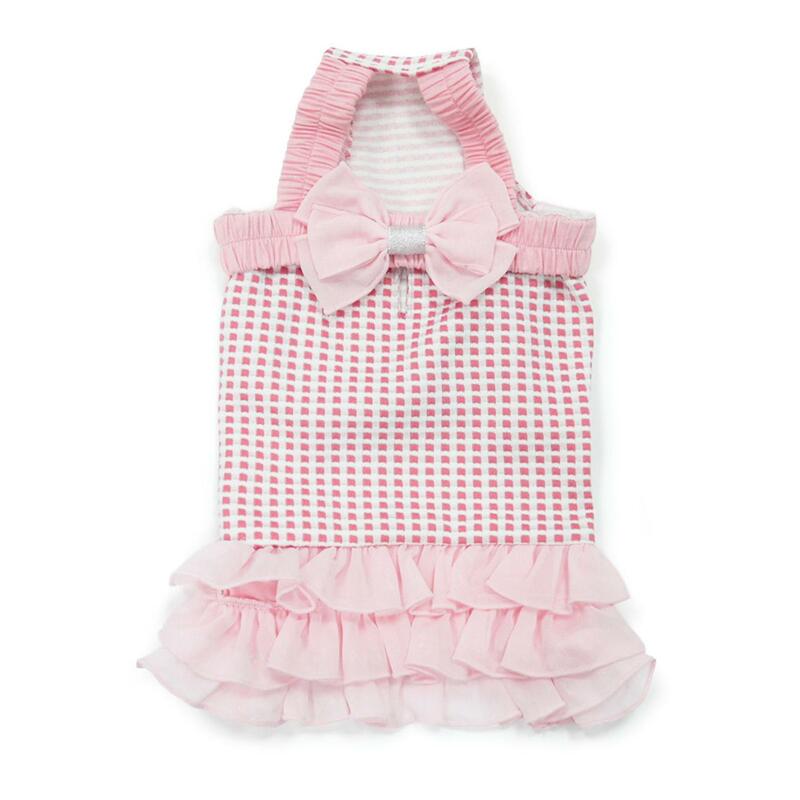 Great for summer parties! 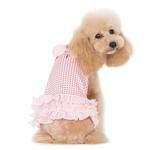 Halter Woven Dog Dress by Dogo - Pink Customer Photos - Send us your photo! Posted On 07/11/17 by Lynn R L from Valley View, TX Yes, Lynn R L recommends this product! Very cute and not something you ever see. I was a little frustrated when checking out because the coupon code on the pop up did not work, I called the customer service and they immediately provided an alternate code! very helpful prompt service!! I will use your site again!